Along with the Ironclaw RGB and M65 Elite, Corsair has also released a wireless version of one of their entry-level gaming mouse. 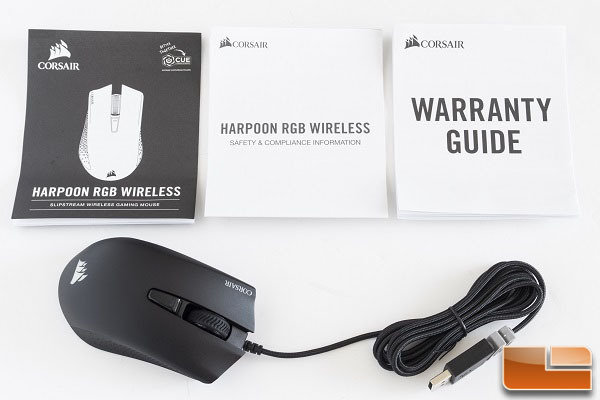 It is the Corsair Harpoon RGB Wireless gaming mouse, which includes the 10,000 DPI PixArt PWM3325 optical sensor and up to 60 hours of wireless operation through bluetooth connectivity. Like many Corsair gaming products, the Harpoon RGB Wireless has iCUE support and RGB illumination. The wireless feature is the main selling point with its Slipstream Wireless Technology. This features hyper-fast, sub-1ms response for responsive gaming performance. With a weight of just 99 grams, the Harpoon RGB Wireless competes closely with the Logitech G305 gaming mice with Lightspeed Technology. The light weight design makes the mouse easy to handle, while the small shape and size makes it portable. Like most wireless gaming mice, the Harpoon RGB Wireless still works with the detachable USB cable connected for wired mode. 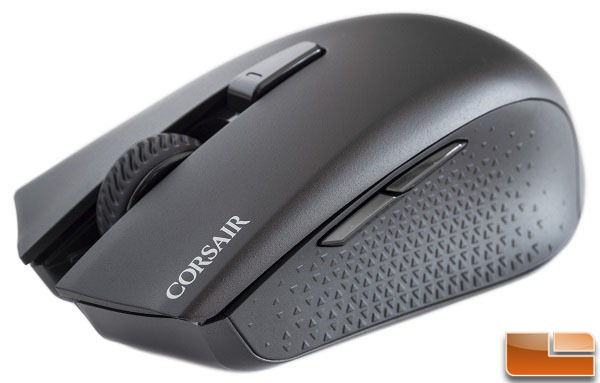 Priced at only $49.99 shipped at Amazon, we can expect this mouse to be a very competitive product without sacrificing functionality and performance. Like most Corsair products, the box for the Harpoon RGB Wireless looks very simple with the yellow and black color theme. On the front, there is an illustration of the product with the product features and specifications listed around the box. In terms of accessories, there is a quick start guide, a safety leaflet, a warranty guide booklet, and the mouse itself. Out of the box, the USB detachable charging cable is attached to the mouse, but it is easily removable for wireless operation. There is also the USB wireless transceiver, which is hidden in a small compartment inside the mouse. The Harpoon RGB Wireless is built for right-handed users with the exterior made from plastic and rubber materials. When compared to other gaming mice in this price category, the Harpoon RGB Wireless is smaller in size. This makes the mouse ideal for users with smaller hands. 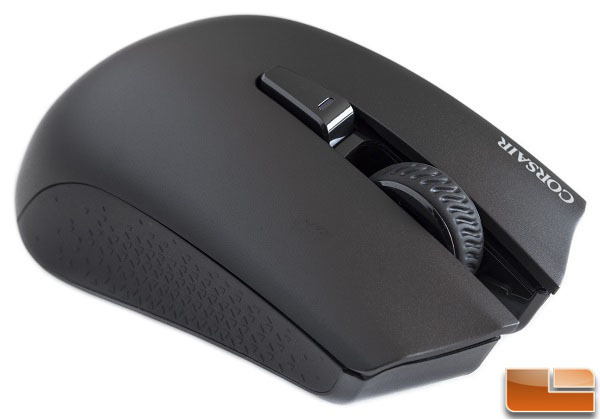 A large rubberized scroll wheel provides great feedback while scrolling, and the rubberized side grips make it easier to grip and control the movement of the mouse. The front of the Harpoon RGB Wireless is rather basic with its standard design. There is a large scroll wheel and two standard left and right click buttons with Omron switches. These Omron switches are rated for 50 million clicks for long-lasting durability, which is a great thing to see on a gaming mouse in this price category. At the rear of the mouse, there is not much to see except for just the RGB capable company logo. The palm area is small but the texture is smooth to the touch. 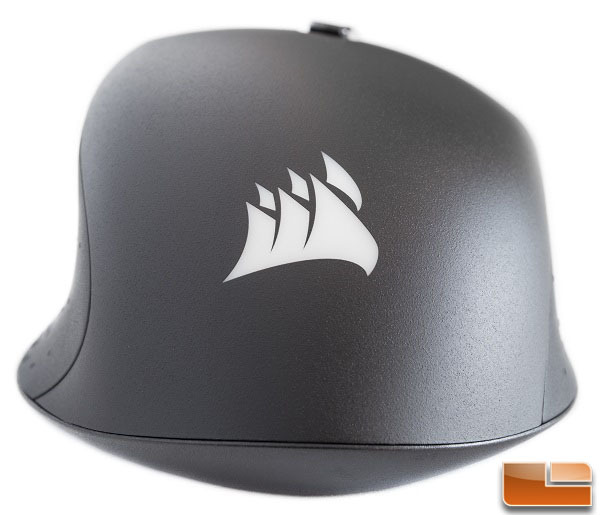 The left side of the mouse is rather basic with two side buttons and the rubberized side grip. The side buttons are smaller than what I am used to but do provide a loud click when pressed. On the side grip, there is a slight curve towards the inside of the mouse to provide some extra grip and a rest for the thumb. Not much is going on with the right side of the Harpoon RGB Wireless mouse. 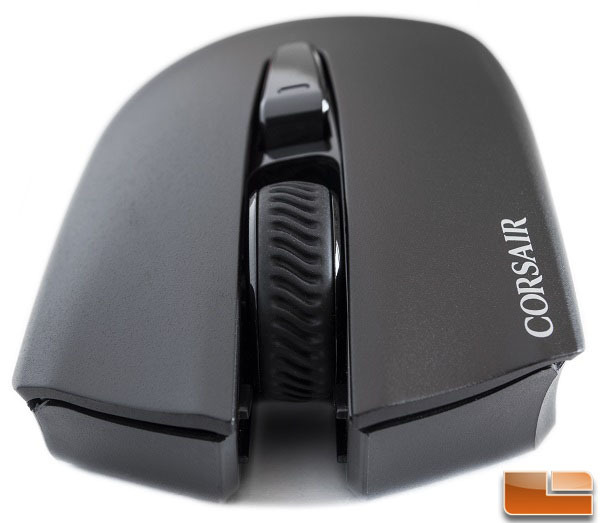 Like the left side, there is a rubberized grip area here to improve the grip of the mouse. The top of the mouse also looks similar to the wired variant. With the Harpoon RGB Wireless, the DPI switch has an LED indicator to keep track of what DPI the mouse is currently set to. 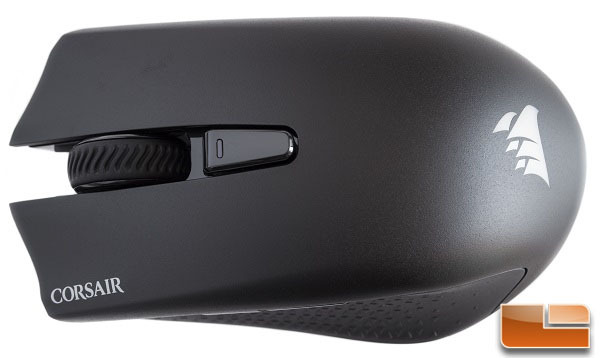 The mouse can store up to five DPI settings along with a sniper DPI mode. Beneath the mouse, there are four glide pads to provide smooth and even tracking. 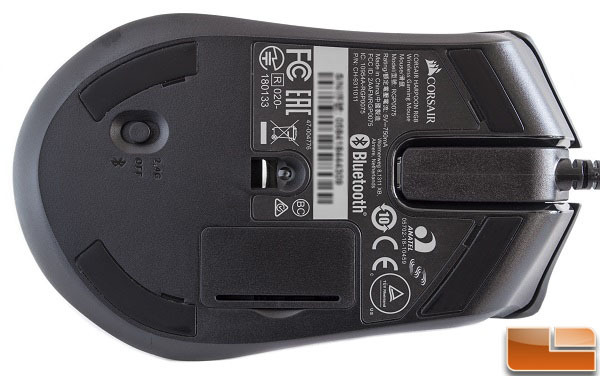 The 3325 optical sensor is placed in the center of the mouse, which will improve overall tracking performance and accuracy. There is also a toggle switch to switch between 2.4 GHz wireless mode, power off, or bluetooth mode. Like most wireless mice, there is also a small compartment to store the Slipstream wireless dongle. 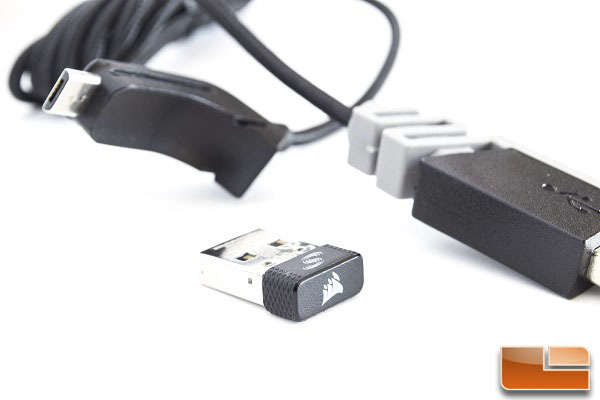 In terms of connectivity, the Harpoon RGB Wireless can connect to a computer via a standard USB 2.0 braided cable, bluetooth, or via the nano size Slipstream wireless dongle. 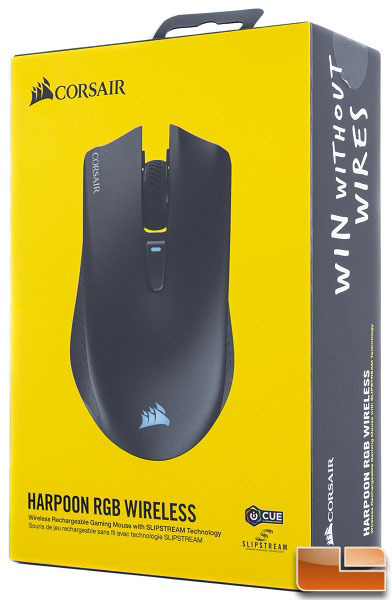 Corsair calls this “hyper-fast, sub-1ms SLIPSTREAM CORSAIR WIRELESS TECHNOLOGY”, which should provide great performance over the wireless connection.